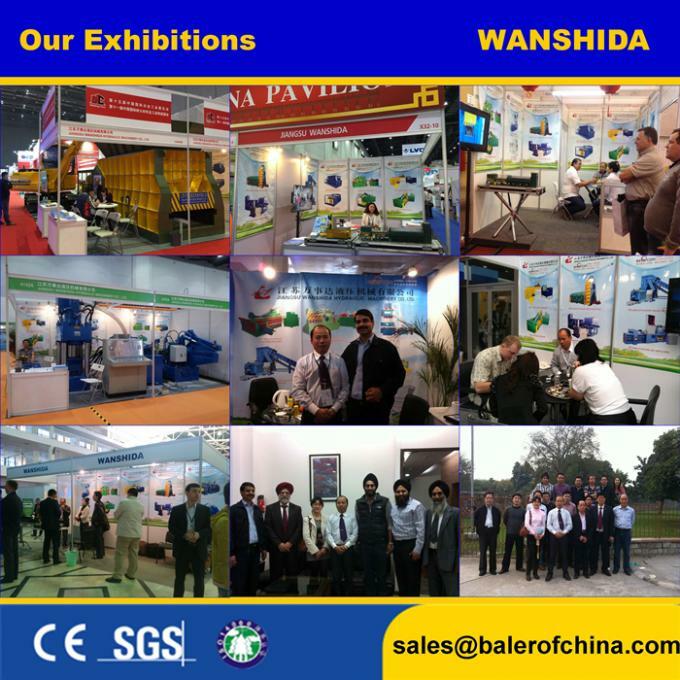 Jiangsu Wanshida Hydraulic Machinery Co., Ltd.
Professional Manufacturer of Hydraulic Scrap metal Balers, Alligator Metal Shears, Scrap Shearing Balers, Container Shears, Scrap Briquetting Press, Waste Paper Balers, etc. 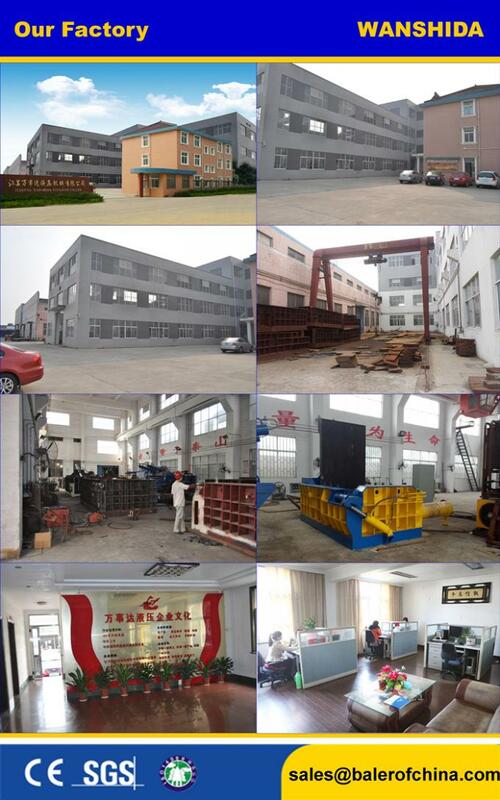 We are China Scrap Metal Baler Factory in Jiangsu Province. The Y83-200 Wanshida Metal Baler is mostly applicable for metal smelting factory with medium output, as well as the waste metal recycling station. It is a manually operated machine. Its compress room size can be chose 1600x1200x800mm and 1800x1400x900mm as customers like. The dimension of the compressed bale is about 400x400mm in size. Based on the demands of customers, the waste scrap metal baler can be matched with 37kW or 44kW power supply. It’s output is able to reach 4-6tons per hour. More information please contact our sales department. 1. Driven by hydraulic system, this turn out baler is highlighted by reasonable design, compact structure, small volume, light weight, small inetia of movement, low noise, stable traveling performance, flexible operation and so on. 2. 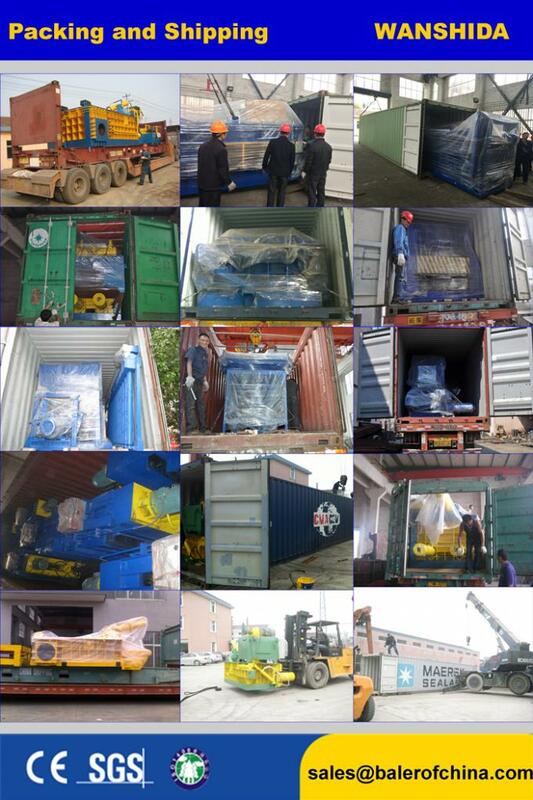 Under the integrated hydraulic and electrical control, it is easy for operation and maintenance. 3. 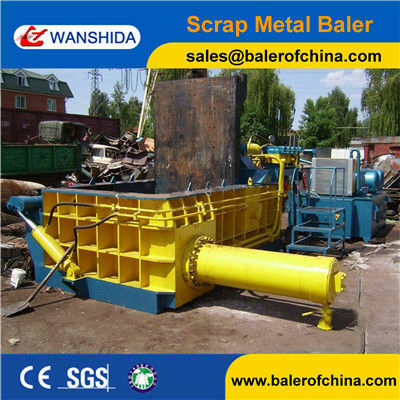 With wide applicable range, this product can work as the processing equipment in scrap metal recycling unit. It is also suitable for processing the furnace charge in the foundry of factory. The equipment offers powerful adaptability for the working conditions. 4. Our turn out baler performs with low energy consumption, easy installation, secure operation, high working efficiency, low price and other merits.